I am a 20 year old female residing in Mumbai. My mother gave birth to me when she was 34. As a complication of late delivery and loss of oxygen that arose from the umbilical cord being wrapped around my neck during the C section, I was diagnosed with Cerebral Palsy. Unfortunately, this diagnosis took 11 months after my birth. Being unable to stand till the age of 4 and lacking the potential to perform as well as the other kids in class, I was detained in preschool for longer. I wasn’t met with open arms when I had to join a proper school either. Schools did not provide assistance on campus, aid during examinations in the form of a writer or extra time, and teachers lacked the resources to attend to a child with special needs. Receiving an education from a regular school, with classmates who lacked awareness and sensitivity about my condition, really put into perspective the luxury that only some could afford; friends. Even though I had above average intellect for my age, I found myself falling behind in subjects that required fine motor skills like geometry, art and gym. When you have a visible disability, most people usually react in one of two ways. Either they ask you what’s wrong with you (with the intent of either humiliation or genuine curiosity) or they assume that you need help and as if to prove their kindness, overwhelm you with their guilt of not being able to help. I’ve encountered doctors who have told me that my disability is the result of sins in my past life, roadside beggars promising to cure my illness if I gave them money, strangers asking me if vaccines have gone wrong, and insensitive family members even saying that I deserve it. In retrospect, these incidents have made me emotionally strong. The children at my school were uninformed of my exact disability and were too scared to approach me about it, for fear of being offensive. While this led to initial isolation, I soon learnt to adapt and become more talkative. I no longer waited for people to come talk to me. I initiated conversations by asking for help when needed, shared stories about my condition, participated in as many activities as my body allowed (including swimming) and basically overcame my fear of being judged and making friends. I’ve undergone multiple surgeries all through my school time and have found it challenging to do things otherwise considered easy, like boarding flights, playing sports or going to the beach. While it has always been relatively easier for me to ask for help because of the visibility of my condition, there have been moments when I have felt consumed by this disability. I’ve cursed my parents for not having me aborted, cried for hours, spent summer vacations in hospital beds, and to this day, I feel like a burden at times. I have also, however, learnt to fight these negative thoughts. I’ve understood that I am not defined by my body or my condition. I am defined by my actions and ideas. For every five ignorant people, I meet one good person who is willing to learn about Cerebral Palsy and look past it to see the person I am. When I joined college, I saw and met more people like me. It was a new environment for me because for the first time, I wasn’t the only one in class who had a disability. I’ve grown close to people with visual impairments, mental disorders and other conditions, and this has helped me become quite resilient. My current employers are extremely understanding. The location of the workplace does not permit vehicles inside the premises but I can always rely on my colleagues to accompany me up the stairs. If I could give an abled person some advice, it would be to stop assuming that people with disabilities require help for everything. When you assume something about me, you’re doubting my capability to perform simple tasks. Don’t consider me ‘an inspiration’ for surviving, despite being held back from the beginning. When push comes to shove, people learn to manage. This is the only life I’ve known, and even if it comes at its costs, I don’t feel regretful of anything. There is so much to look up to. Life is full of liberating experiences. I remember the first time I visited a mall by myself, ordered a cup of coffee and paid for it without any assistance. It might not seem like much, but it was joy only I felt and truly understood. There is no point in living in a state of denial. Only when you learn to accept that you’re in charge of your emotions, can you grow and make room for happiness. I am a 64 year old Professor of Business Studies. On the afternoon of July 11, 1994, I was driving back home from the bank with my wife, and out of nowhere, a coconut tree collapsed on us. The accident left me unconscious, but fortunately my wife sustained minimal injuries. The accident had happened close to a hospital, and my wife was able to ask for immediate medical assistance. MRI scans at the time were expensive and inaccessible, and I had to be airlifted to a distant hospital to get them. I was diagnosed with severe spinal cord injuries, which left me paralysed from the chest down. Thinking about the massive lifestyle changes I would have to accept and the repercussions of this accident on my family, I felt completely shattered. I had young children who were in middle school at the time, and it felt like my entire life had been uprooted. Before the accident, I was physically fit, athletic and health conscious. Now I would have to be guided and assisted by a physiotherapist to get from one place to another. My personal hygiene would have to be maintained by my family. I would have to relearn how to do basic things and accommodate my disability into my daily life. At a time when I was struggling to cope with my emotions, my friends extended their kindness my way. They have been a constant support in my life. They held a fundraiser to help me pay my medical bills, provided emotional support to me in my hour of need and even decided to modify the functions of my second hand car to facilitate me to drive. The rehabilitation I received from physiotherapy was accentuated due to the strong support system I had. My colleagues and seniors have also been extremely helpful, in that they worked around their schedules to make my life more convenient. My handicap no longer permitted me to teach subjects that required solving numericals on the board, and so I was shifted to more theoretical subjects that allowed me to teach orally. I was later diagnosed with a urinary tract infection (UTI) that prevented me from being in control of my bladder. I had to wear a catheter inside my pants to prevent myself from urinating in public spaces. I remember the day I had to collect the results of my reports from the urology lab, and my car broke down on the way. I remember myself shouting for help and waiting for someone to respond for a long time. Finally, a nice enough man stopped to help, in return for money. He contacted the nearest mechanic who was reluctant to visit me during lunch hour, and so by the time they reached my car, it was too late for me to go to the lab. I had to be dragged outside of my vehicle and lie on the ground while the mechanic worked on my car. I had never felt more humiliated and regretful of having this disability. The attitude of people towards the disabled community is disappointing. People tend to take advantage of the facilities provided to aid those who cannot help themselves. From wrongly using parking spaces reserved for disabled persons to strangers shouting obscenities and calling names in public, people can be extremely insensitive and ignorant. However, my upbringing has taught me to be strong and stand up for what I believe in. I’ve learnt to become resilient and take up causes that matter to me. I have joined several clubs and NGOs that work towards the welfare of the disabled community. When I see any kind of injustice towards people who are disabled, I am urged to stand up for them. I like to think of myself as a ‘flagbearer of equality’ for my community. I encourage people to have faith in themselves when they go through a transformation like this. There are times when doctors I know contact me to come and speak to their patients about overcoming their fears. I demonstrate to them how we can adjust to the changes in our surroundings owing to our disabilities, and have made several educational videos for people like me. It is not always easy. I’ve had to ask for help with entering elevators and sitting in cars. But I have also seen my children get married and do well in their careers, my wife lovingly willing to help me out with every small thing, and wonderful people trying to bring about a real change. I retired a few years ago and have since been contributing to elevating the status of people in the country by organising blood donation camps, helping hospitals, spreading awareness and enabling others like me to speak up locally about their issues. I feel proud of my kids when I think about what I put them through and how they’ve managed to come through despite that. I am fortunate enough to have a supportive and strong social system. I don’t disagree to the fact that one might feel dejected after such an incident has occurred, but we can’t let a disability stop us from achieving our goals and aspirations. The first step is to tell yourself that you’ve been given this life to make a difference. Don’t let your inability to move become the biggest obstacle you face. I would advise all disabled individuals to make an example of themselves and motivate others to live life to their fullest. Unable to wake up from my bed one morning, somewhere in mid 2002, I decided to go to the doctor. He diagnosed me with SLE or Systemic lupus erythematosus. It is more commonly known as ‘Lupus’ and is an autoimmune disease which could affect almost any organ in your body. To explain the condition in simpler terms, the body's immune system mistakenly attacks healthy tissue in many parts of the body. In my case, this malfunctionality affected my limbs and mobility. Even though it was detected quite early, my knees faced some amount of damage and visible deformity. I was suggested knee replacement, but I knew that it only lasted for 15 years and I would have to get another surgery later, so I opted for steroids instead. I was in my late 40s at the time and had children in high school. I felt like my entire life had been uprooted from a state of normalcy. The initial phase of trauma lasted for half a year when my movements became so restricted that I started to require help with brushing my teeth, driving, walking to the doctor for health check-ups, doing chores at home and even changing my sanitary napkins. Only after undergoing steroid treatment was I able to relieve my mental strain and suffering. I have always been a perfectionist, so it was difficult for me to change my lifestyle to live up to the bare minimum. Furthermore, the use of steroids became essential for my functioning even though it had side effects like severe body pain. I visited several doctors during this time and considered all kinds of alternative treatments like homeopathy and ayurveda as well. In this process, I ended up getting worse because every doctor had a different diagnosis. Lupus is not very common among Indians and is therefore difficult to detect. As a result of trying all these different treatments, I retreated into a shell. I discontinued the steroids, because my dependency on them was making me vulnerable to a lot of emotional inconsistencies along with physical problems. Even though my family was struggling with me, they have always been more than supportive of my decisions. My children urged me to go back to work, and I did, for a few months, after I felt in control of my body again. My family wasn’t the most financially stable, but my friends and extended family helped us. I feel blessed to have a loving and caring support system and I am thankful for them everyday. Lupus as a disease has a genetic cause, but gets detected only later in life, which means that I was born with it but did not know how to live with it. 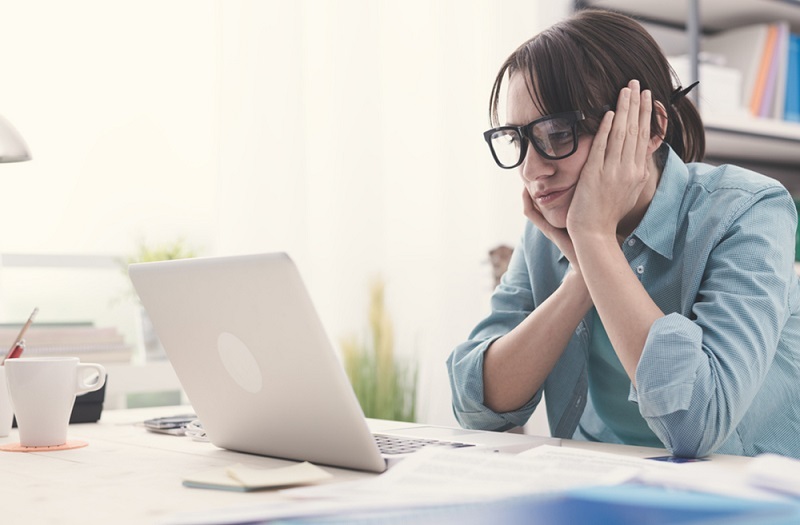 I now know that there are factors such as stress and lifestyle habits that can trigger the disorder, but this information was not available to me at the time. I have tried to keep myself occupied by reading books and spending time with my family. I try to be as productive as possible. I meet with friends and neighbours, and immerse myself in community work as much as my body allows, because I have realised that there is no point in brooding over the fact that there is a disability that prevents me from doing things. The future has endless possibilities. If you spend your time worrying about your limitations, you decrease your chances of performing to your full potential. What also motivates me to stay positive is the idea of my family losing me. I continue to overcome my struggles because I know that if I stopped trying, I would disappoint my family and wellwishers. The need to make them happy keeps me going. My happiest memory has to be when my children decided to study further. It made me feel like they had their own independent lives despite my condition, and they chose careers that made them happy. People have usually reacted to my disability in an understanding manner. Fortunately, I have never encountered bullies or insensitive strangers myself, but I have witnessed this and have felt taken aback by the sheer lack of compassion in people. When I do meet people who don’t understand my condition, I try to educate them about it. However, if they seem disinterested, I have learnt to develop tolerance and avoid confrontation. When you stop letting people get to you, you become much more resilient. The only way to do this is to accept yourself first and know your strengths and weaknesses. Any situation you’re in, there is always a way out. Positive thinking goes a long way. It definitely helped me to build the courage to ask for help. Your brain is your strongest weapon. It can keep you moving forward and fighting any battle. It’s important to discuss the issue at hand; shying away from it keeps people uninformed. SLE affects way more people than those who choose to come out and talk about it. We need to create awareness of the disease and come up with innovative ways to help patients be more independent. Living with a disability does not have to hinder your ability to perform to your fullest. You cannot let people’s judgement hold you back from the things you can achieve. While it takes courage in itself to live with a disability, it also does not require much for us to be compassionate towards someone who has one. It’s important for us to develop sensitivity and awareness towards people with disabilities. If you are struggling to cope with the impact of a disability, do not hesitate to reach out to us. 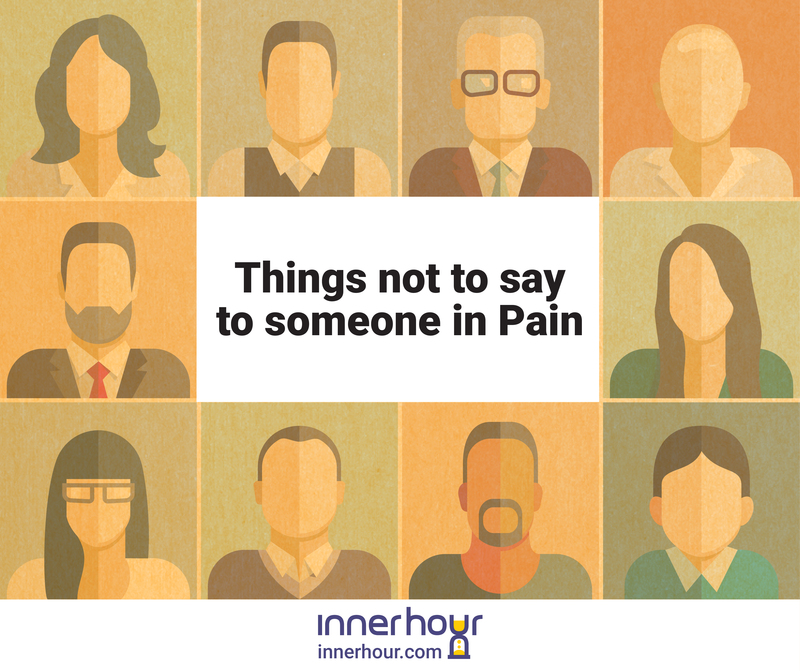 An InnerHour therapist can help you.